I have always been into fitness. I used to do a lot of corporate and personal training back in varsity. After graduation, I got a job in the corporate world and used to train people on the side. During my time in corporate, I officially qualified as a personal trainer after studying exercise science and sports conditioning. Why did you quit your corporate job? That must have taken a lot of guts! Yes, it did take a lot of guts but I am glad I did it because fitness is my passion. I loved working in corporate but I knew I wasn’t working my hardest. I knew I had more to give but every time I wanted to give more, it always seemed like an effort. I did my best to give my all but wasn’t really happy. It took me quite a while to make the decision and I considered all the risks involved. You are part of the current Nike ‘Believe in More’ campaign. Could you please explain what it is all about? Well, it is a campaign that talks to women and says, ‘there is more to what you believe in. 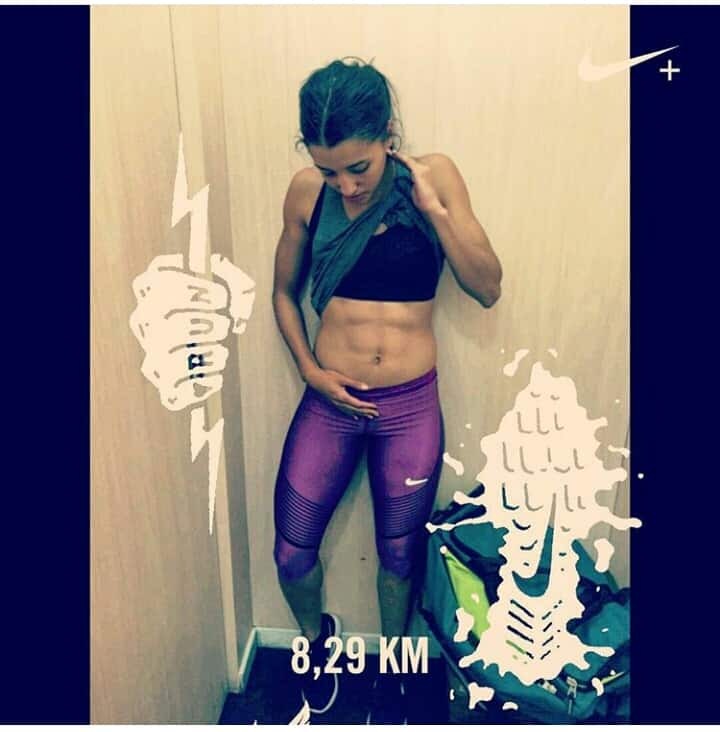 If you believe that you are an 800-meter runner and want to compete in the Olympics in four years’ time, you have to believe that you can, if you pursue it by working hard. 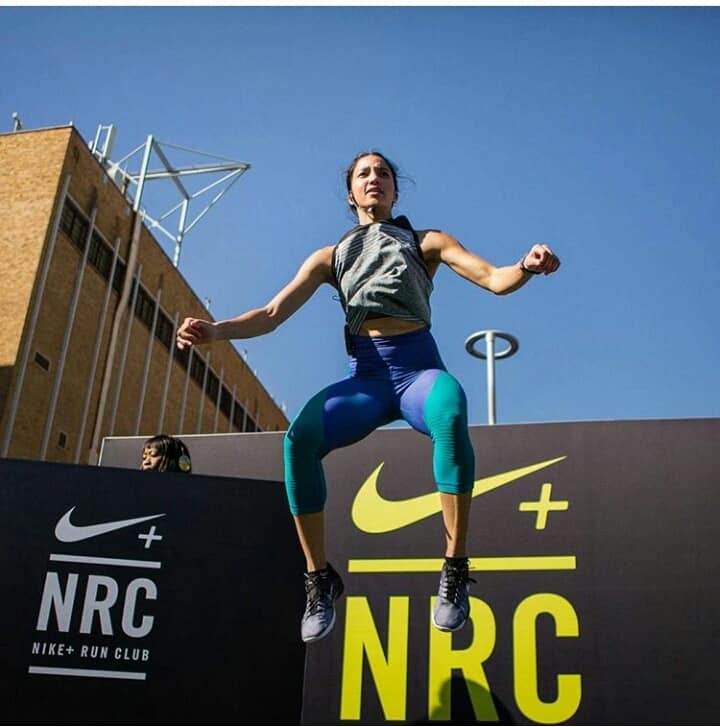 To celebrate, Nike is creating an epic and show-stopping fitness experience like no other at the Kyalami Grand Prix circuit on Saturday, 28 January where 1000 women will attend. I can’t divulge too much information but I can assure you that the 90-minute event will be one to remember in years to come! I along with other NTC will be instructors of the power workout which is set to motivate and encourage women to test their strength and endurance. What role are you playing in the campaign? I am the girl that has taken the leap of faith to change careers. I took that leap of by quitting my job knowing that it would be tough with a lot of hiccups along the way, but I believe that I can make a success out of it. My role is to encourage women to believe that they have more to achieve. You always look stunning. Do you ever feel under pressure to maintain your physique? I wouldn’t say it is under pressure because I have always been sporty. I participated in sprinting both in primary and high school. I enjoy maintaining this physique and all the work that comes with it. I love lifting heavy in the gym. 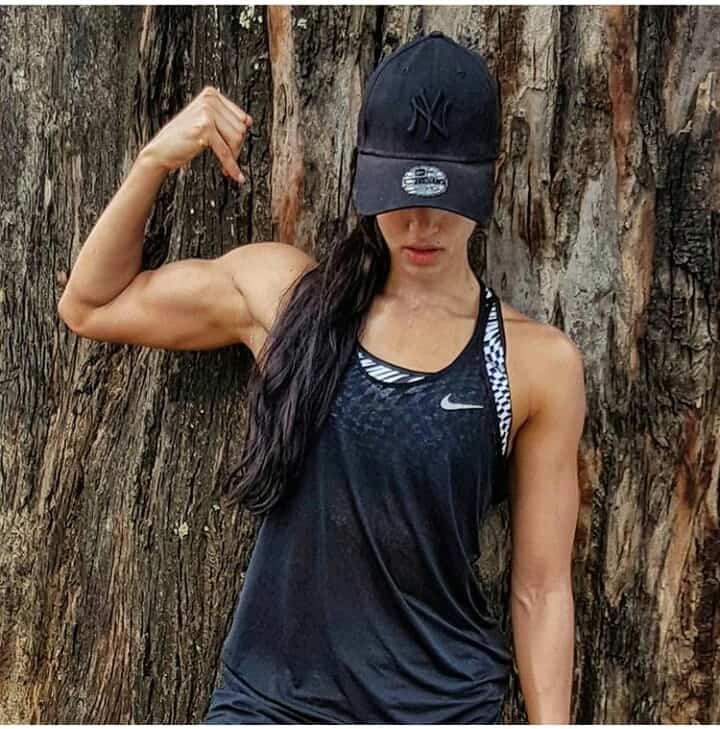 Hmm talking about lifting Zak, what are your thoughts on women who want to ‘tone’ but don’t want to lift heavy weights? It depends on what their goals are. If you want to tone up and build lean muscle, then you have to do endurance work which is lifting lighter weights with higher repetitions and fewer sets. But I believe that women should do more weight training. A lot of women are scared of looking bulky but we really do not have enough testosterone to build muscle like that. One would need to take some sort of supplement to get massive like a man. The best back exercises are the variations of pull-ups and Lat pull-downs. Lat pull downs are important because they will build your strength for pull-ups. My favourite muscle group to train for my arms are shoulders. I would advise women to go heavy on shoulder presses but only after getting the form right with lighter weights. Once you are comfortable with the form, you can start increasing your weight. I also recommend triceps dips between two benches and these must be done until failure. Hanging leg raises are the best exercises for abs as they work all the abdominal muscles. There are variations to this as well and you can modify according to your level of fitness. Squats are the best. For the glutes, I recommend weighted lunge squats and hip bridges. I don’t really have a routine. If I go into a gym and feel like training legs, then I will train legs. I am not strict with myself. If I am feeling low on energy, then I will work the smaller muscle groups. I train legs 2-3 times a week. I don’t follow a specific diet but I do eat clean. I don’t eat sugar at all. I am a sugar addict and love takeaways but I have to ask myself ‘are my goals bigger than eating sugar every day?’ and my goals are bigger than that so I have to keep my diet in check. Do you ever have treats or cheat meals? I do definitely. If during the week, I feel like having chocolate, I will have a piece of it but I will not demolish the whole slab. You shouldn’t feel guilty about eating unhealthy once in a while. Fitness mustn’t become an unhealthy obsession. If you slip up and have a full day binge on food you enjoy, it’s okay. You shouldn’t hit the treadmill for 2 hours after a slip up trying to burn off the calories. Everyone falls off the wagon once in a while including international fitness models. You are not going to get fat from one day of binge eating. The only supplementation I take is BCAAs for muscle recovery after training. Tips for those who want to stay fit but lack motivation? I always say start off small. 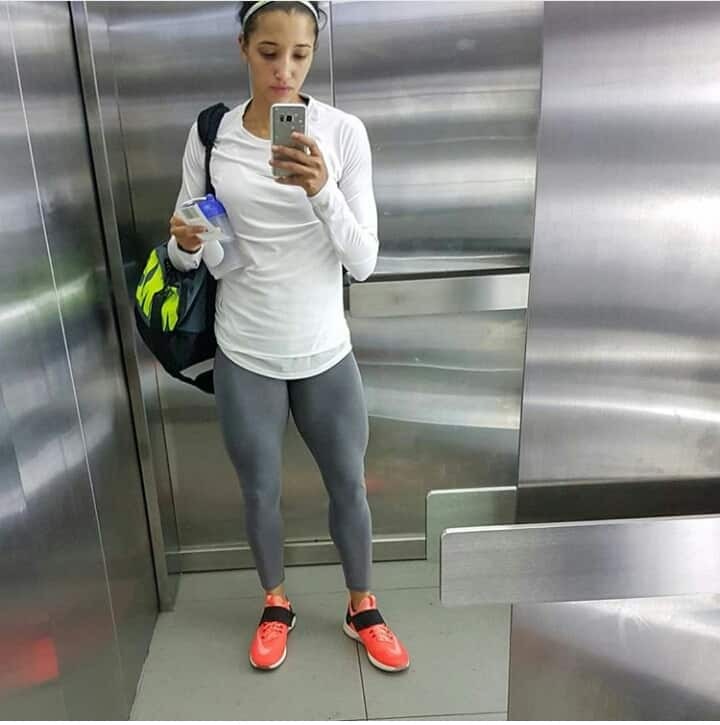 Women especially go into the gym hit hard and after two days get really sore and vow not to do it again. They need to start off small and gradually increase the training. Stay consistent because that is what yields results. Be patient and follow a healthy eating plan. What’s is next for Zak? I have just launched Fit Club which is an exclusive female-only training studio in Melville. There, I will be offering weekly classes, small group training as well as personal training.